Steve ‘MrTimCaum’ O’Dwyer is one of those guys that the casual poker fan might not be too familiar with, but anyone who checks out major tournament results even semi-regularly has seen him at the top of the standings many, many times. His latest triumph: taking the crown at the Asia Championship of Poker Macau $500,000 Super High Roller Event, good for HK $14,050,000, or about USD $1,811,638. PocketFives’ news coverage is brought to you by William Hill Poker, one of the largest skins on the iPoker Network. The poker room offers a generous welcome package including a 200% deposit bonus up to $2,000 and a superb VIP program. PocketFivers will love playing in the site’s €1 million guaranteed iPOPS series, which runs through November 9. Visit William Hill today! As one would expect, the final table was full of strong players, including Daniel Colman, Davidi ‘legrouzin‘ Kitai, Joseph ‘subiime‘ Cheong, Ryan Fee, and Connor ‘blanconegro‘ Drinan. Colman eliminated Kitai in eighth place and it was beginning to look like he might take yet another big event, but he soon made the tactical error of moving all-in pre-flop with A-K against O’Dwyer’s aces, a move that went exactly how you thought it would. The emotionless poker player was gone in seventh place. Kitson Kho was next out in sixth place, followed an hour later by Cheong in fifth. Four-handed, Pratyush Buddiga had the lead with 17 million in chips, while the other three players – O’Dwyer, Drinan, and Fee – all had in the 11 million range. After being crippled, Drinan was all-in pre-flop, facing both Buddiga and O’Dwyer for his tournament life. Eventually, O’Dwyer was the only one left in the hand, having turned a flush. Drinan had a chance at a better flush on the river, but couldn’t get it and was gone in fourth place. 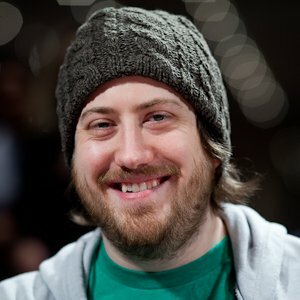 Surprisingly, despite how well he was doing, Buddiga was eliminated just minutes later, sending O’Dwyer into heads-up play with a massive chip lead on Fee, 36 million to 15 million. Fee put up a fight, but was unable to get over the top. According to the PokerStars Blog, on the final hand, Fee bet 1.3 million in chips pre-flop, O’Dwyer called, and the two saw a flop of Q-9-7. O’Dwyer checked, Fee bet 1.6 million, and O’Dwyer called. O’Dwyer again checked the 3 on the turn and called when Fee bet 4 million. Another check by O’Dwyer when a 5 was dealt on the river prompted Fee to move all-in for about 10 million. O’Dwyer thought about it for ages before making the call, showing Q-8 for top pair. Fee had just 6-5 for a pair of fives and was knocked out in second place. This was the largest cash of O’Dwyer’s live tournament career, beating his $1,604,972 victory in the 2013 European Poker Tour Grand Final. 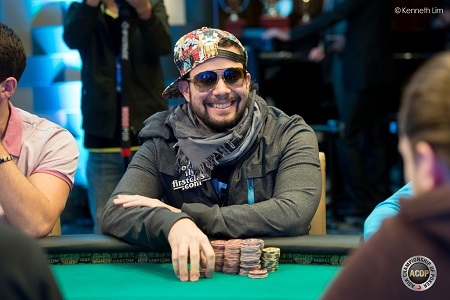 Perhaps surprisingly, despite a large number of final table appearances in big tournaments, he has never won a World Series of Poker bracelet or a WPT title. His more than $7.2 million in live earnings is likely a nice consolation, though. O’Dwyer has also been an excellent online poker tournament player. Playing under the screen name MrTimCaum, he has won over $2 million in publicly tracked tournaments on both PokerStarsand Full Tilt Poker. He has been ranked as high as 155th in the PocketFives Poker Rankings and is currently sitting in 466th place. did anyone do the sitout trick?